﻿"Been using for a few months and am pretty happy with it. No complaints. Bought a second for my wife immediately after receiving the first as the quality and price checked out. Thank you Atom Deal"
"I'm a bike rider for over 45 years. 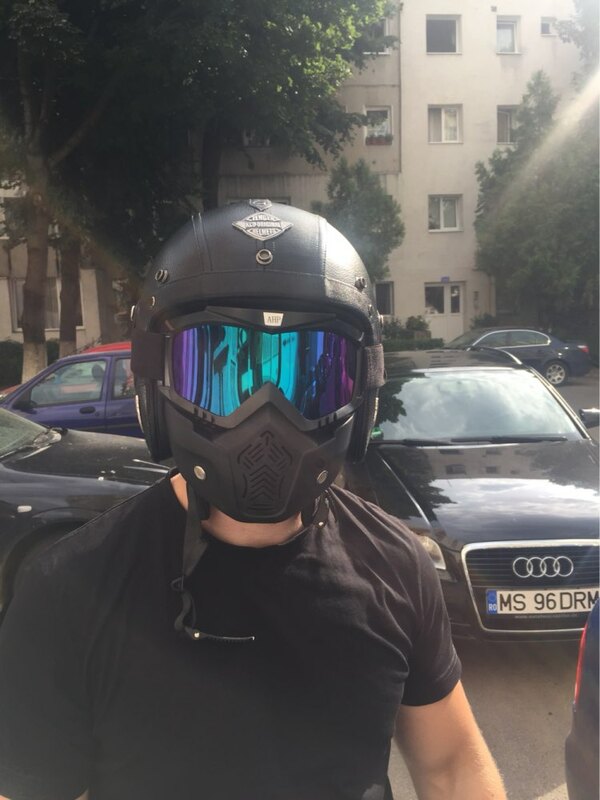 Helmets are a must and I've tried many styles. 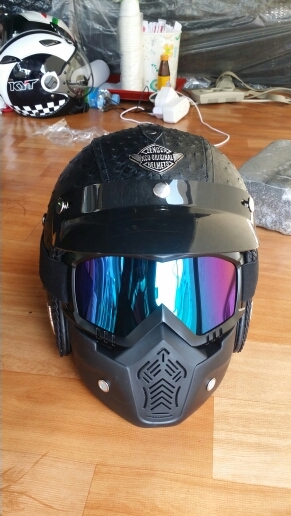 For on-road, full face is the best protection. However, I also have ATVs and UTVs. Full face works in this application but during hot summers of the South, a full face can be too hot. 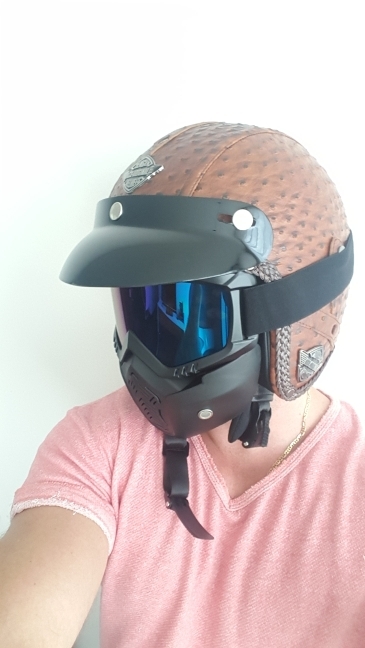 This half helmet provides adequate protection for UTV use but is much cooler on the head. Easy on and off and very comfortable lining. Looks nice too with the flat black finish. As other reviewers have noted, be careful about sizing. I normally ware a Large and measuring my head indicates a Large is correct. After reading reviews, I decided to order an XL. Glad I did. The XL fits perfectly." 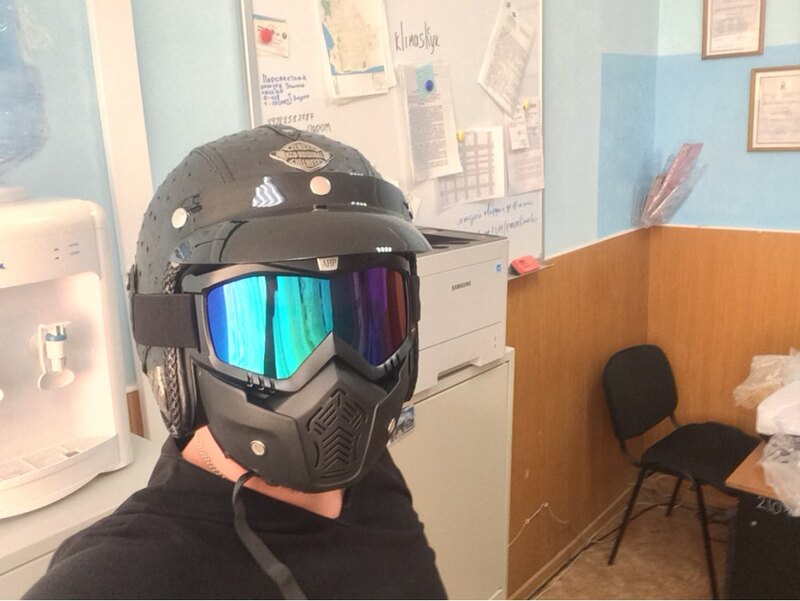 "Very pleased with the quality of these helmets for the price. Got 4 of them in different sizes and colors and I couldn't be more happy with them. Very good value. And for the record, they don't look any more like a mushroom head than any other half helmet of this style." Models 1-4 comes together with goggles and face mask! M: 57-58 cm / 22.44"-22.38"
L: 59-60 cm / 23.23"-23.62"